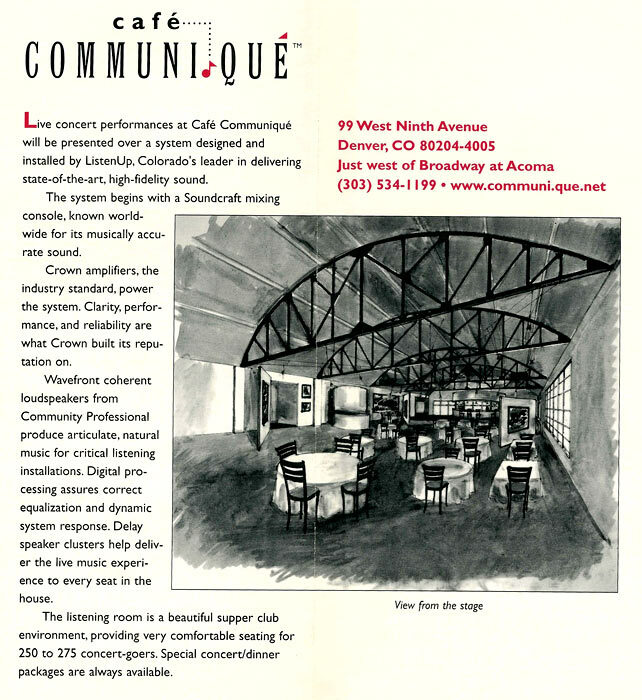 Community Center for the Arts in Denver's up & coming Arts neighborhood, The Golden Triangle. 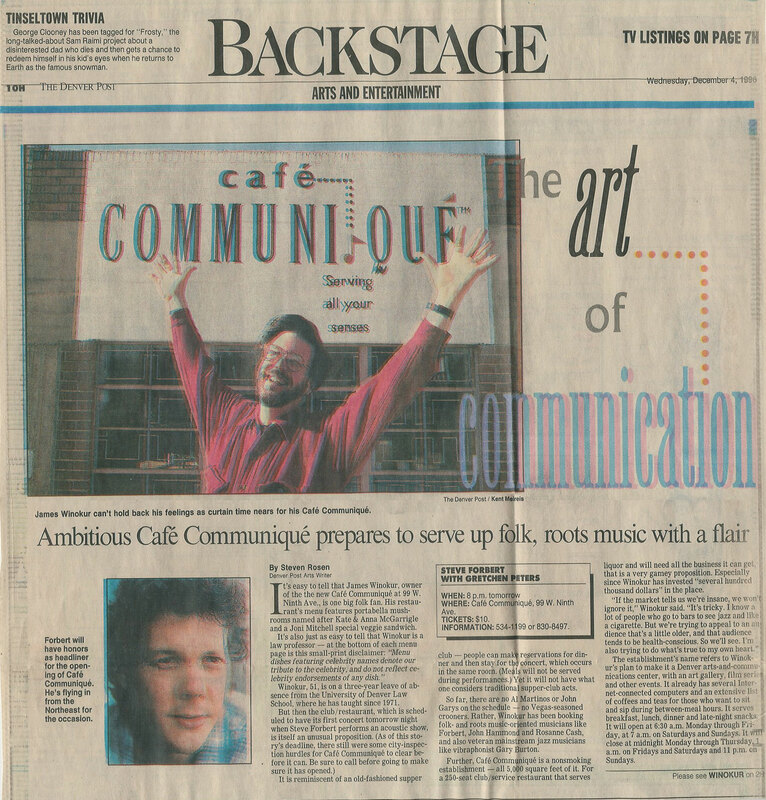 Fred Hersch, Gretchen Peters, Lynn Miles, Steve Forbert, Ron Miles, Kenny Walker, Art Lande. 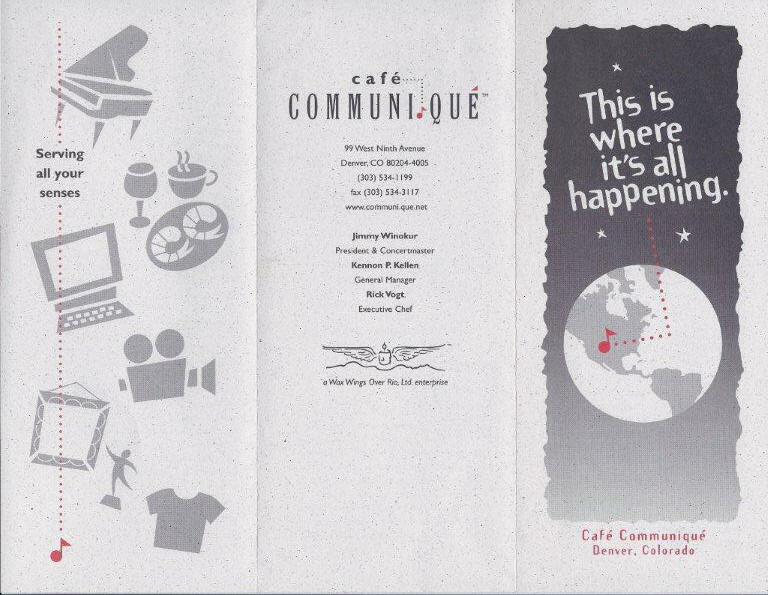 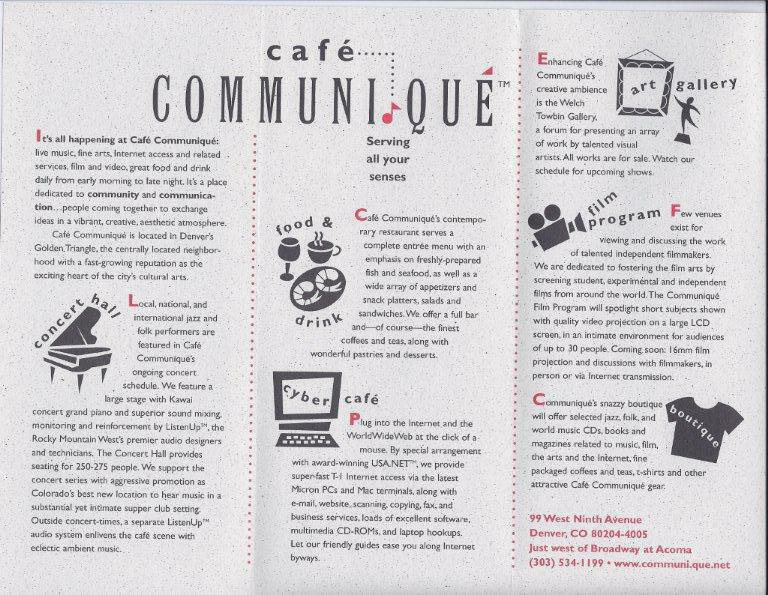 I'd like to think Café Communiqué was... dare I say, an inspired concept, ahead of its time!